BPOS: Promoting the advancement of education, clinical practice, and research in psychosocial oncology. 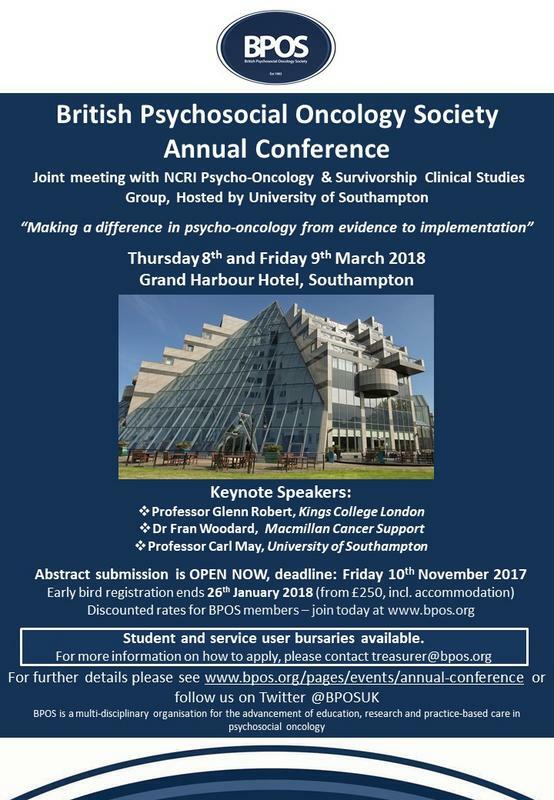 “Making a difference in Psycho-oncology: from evidence to implementation"
We have one PhD student bursary (for students who wish to present at the conference) and one consumer bursary available. These bursaries will cover the cost of registration for both days, conference dinner and second class travel to the conference (up to a maximum of £150). ou will be notified if you have been successful by Friday 15th December 2017.